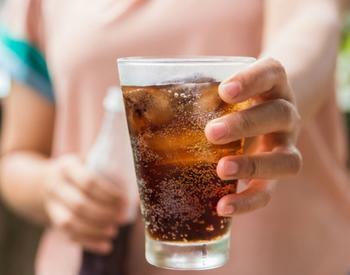 "We found that about a third of the additional calories provided by the sugar-sweetened drinks were not expended, fat metabolism was reduced, and it took less energy to metabolize the meals. This decreased metabolic efficiency may 'prime' the body to store more fat," said lead author Dr. Shanon Casperson. "We were surprised by the impact that the sugar-sweetened drinks had on metabolism when they were paired with higher-protein meals. This combination also increased study subjects' desire to eat savory and salty foods for four hours after eating," she said. "Our findings suggest that having a sugar-sweetened drink with a meal impacts both sides of the energy balance equation. On the intake side, the additional energy from the drink did not make people feel more sated. On the expenditure side, the additional calories were not expended and fat oxidation was reduced,” said Casperson. “The results provide further insight into the potential role of sugar-sweetened drinks -- the largest single source of sugar in the American diet -- in weight gain and obesity."